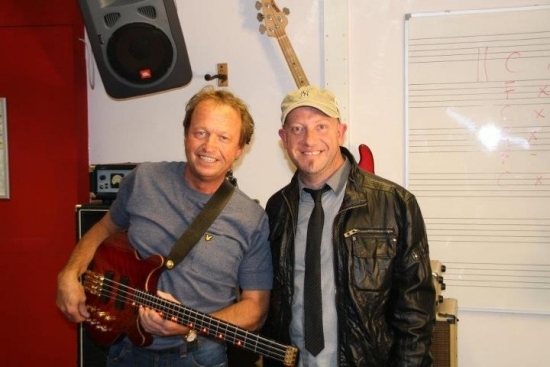 It is always good to welcome great musicians to ACM and last month we were especially privileged to welcome the Bass Legend, Mark King of Level 42. Mark gave a fantastic talk, session and then answered questions, giving the students a real insight into how he started and how his career has progressed. Mark was the main reason I started playing Bass, so to have him come to ACM and see what we have here & what we have built over the years was a real treat. He has inspired so many of us over the years & did just that yesterday. The best was yet to come – Mark and I then had some time to sit down and talk about being in the music industry, which is all now available as a video interview. The interview lasts about thirty minutes so it has been chopped into five sections, which I’ll link to in my next posts. An awesome day, really good to see the students so encouraged and fired-up – Thank you Mark for a great visit! !